Was your iPhone locked? Or what’s worse, was your iPhone disabled because of multiple wrong inputs? Well, worry not! 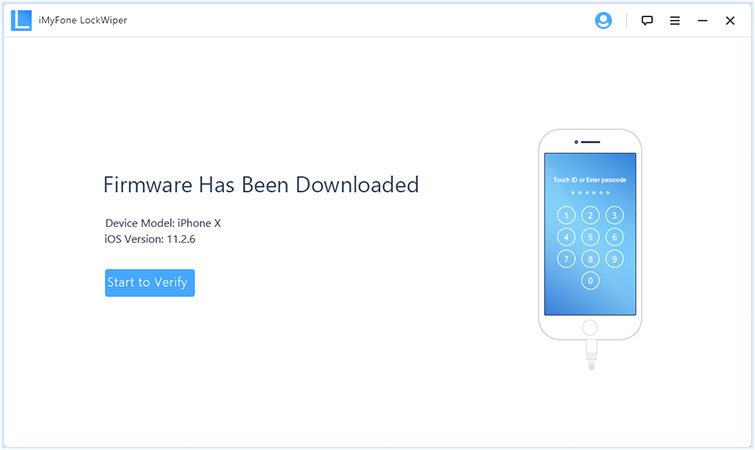 Apple leaves secret backdoor to wipe locked or disabled iPhone via iTunes or iCloud. But to protect the data of the iPhone owner, it sets some limitations of these methods. If you’re willing to use third-party passcode wiper, you can wipe locked iPhone in any scenarios. It doesn’t have any limitations. 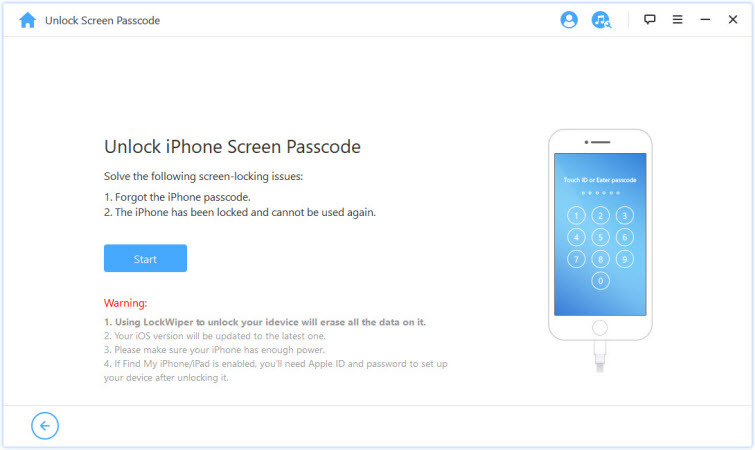 iMyFone LockWiper is a third-party software app that was developed to wipe locked iPhone without passcode requirement. LockWiper is an effective app that solves most iPhone screen lock issues and you would not have to get another app to perform specific tasks on iPhone again. If you need to open your locked iPhone instantly, or have to use a locked iPhone for critical task, you can use LockWiper to wipe a locked or even disabled iPhone without any password. If you ask which way to try first, we will recommend you use iMyFone LockWiper if you want to make it easily and instantly, saving your time. If you would like to try, download LockWiper here and get start. Or you can use iTunes or iCloud. Start by launching LockWiper. Click on “Start.” Connect your iPhone to your computer. 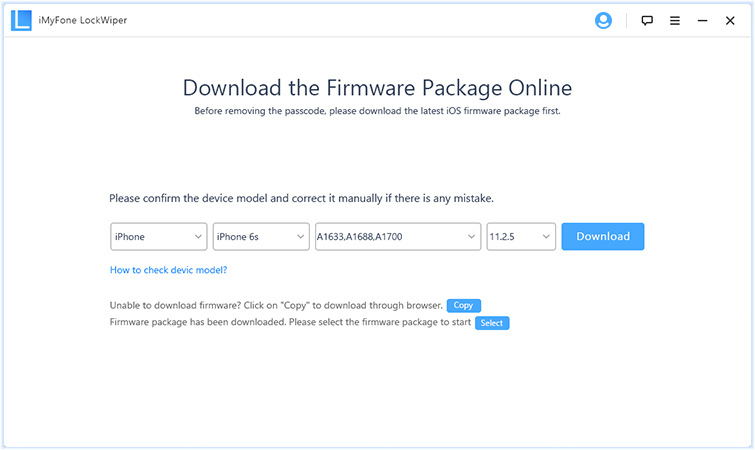 Here, you will select your device model at the top bar. Follow the on-screen instructions prompts. It will bring your iPhone to DFU mode. Your device will be auto-detected. You can change it to the appropriate model manually. 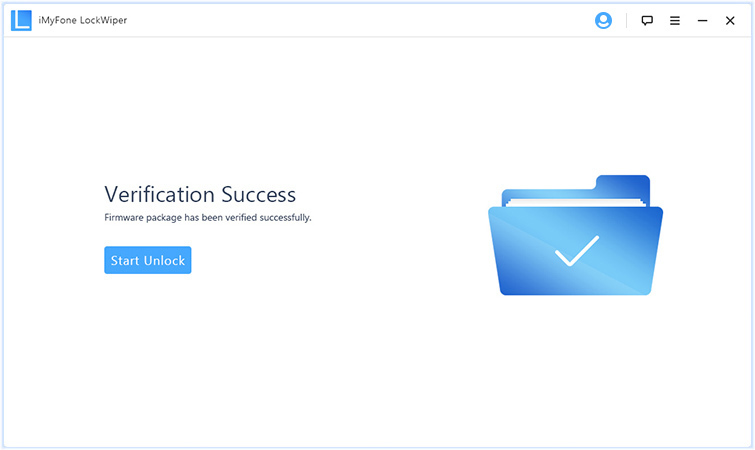 When it’s downloaded, click “Start to Verify” and move on to the next step. Click on “Start Unlock”. Type “000000” into the box and confirm it by clicking “Unlock”. Within a few minutes, your device will be erased unlocked quickly. Please note that iMyFone LockWiper is not free. It will ask you to register it when you click “Unlock”. If you can go through to the last step, it means LockWiper is effective to you. What you need next is to register it and finish the unlocking process. If you synced your locked iPhone to iTunes before, you can use it to restore your iPhone. It won’t require any passcode. But if iTunes do ask for passcode during the process, this way is not available for you. Go to iTunes on your PC. Connect your iPhone to the PC via a USB cable or use the one made with your device. Wait for iTunes to sync and back up your iPhone automatically. When it’s done, go to the Summary page on iTunes. Click “Restore iPhone...” tab. Confirm your intention again by clicking Restore. 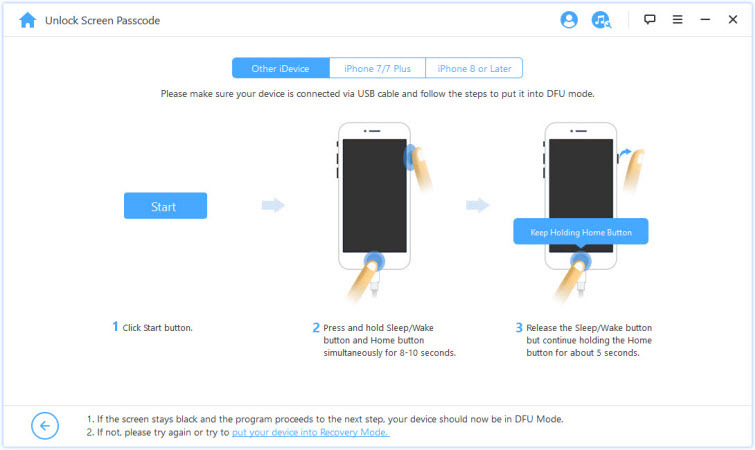 Note that the above steps will restore your iPhone to factory setting and you can then set it up as new. Go to icloud.com on your device or computer. Log in with your Apple ID and passcode. Locate “Find iPhone” and click. Locate “All Devices” and click. Select the device you want to wipe. You will find “Erase iPhone” on the device’s info window, click it. The iPhone will be wiped if you were online or wipe later when you are connected to the internet. No free access. Apple ID passcode required. If Find My iPhone is not set up previously, it can’t be wiped. Your locked iPhone should be connected to internet. From what and the various ways we have shown in this piece, you can see that the most effective and easier way to wipe locked iPhone is to use iMyFone LockWiper. It is the best decision you can make.